with dr. seda özdemir-fritz - Website of commonroom! Are you ready??? We are going to SPACE. What do we know about our Solar System or about the Planets? Can you tell me the names of the Planets? YES, you can! But what about their features? We are going to create the 3D Solar System Model which consists of the sun surrounded by the planets. Your model can be a hanging mobile or mounted on a stationary base. 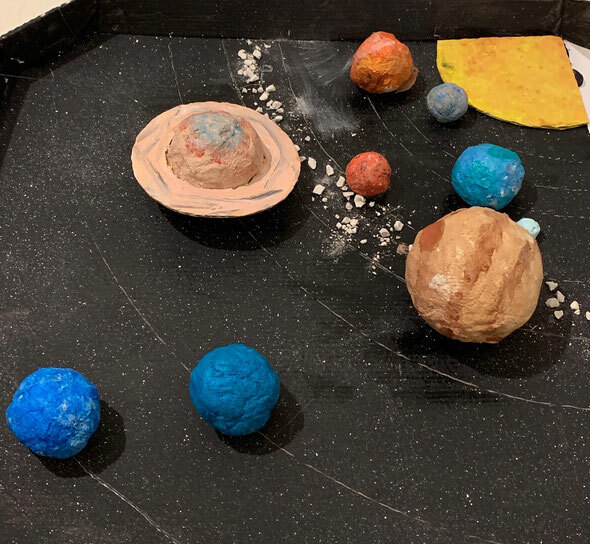 The model should depict the positions of the planets as well as their relative sizes and distance. Join our workshop Mission:Space! Let’s learn all about and re-create our solar system together! Fee: 35€ inc. all materials.